Evanston resident Carolyn Murray stands with a sign protesting a housing project at 2215 Dempster St. Murray was among other Evanston residents protesting the new development early Wednesday morning. 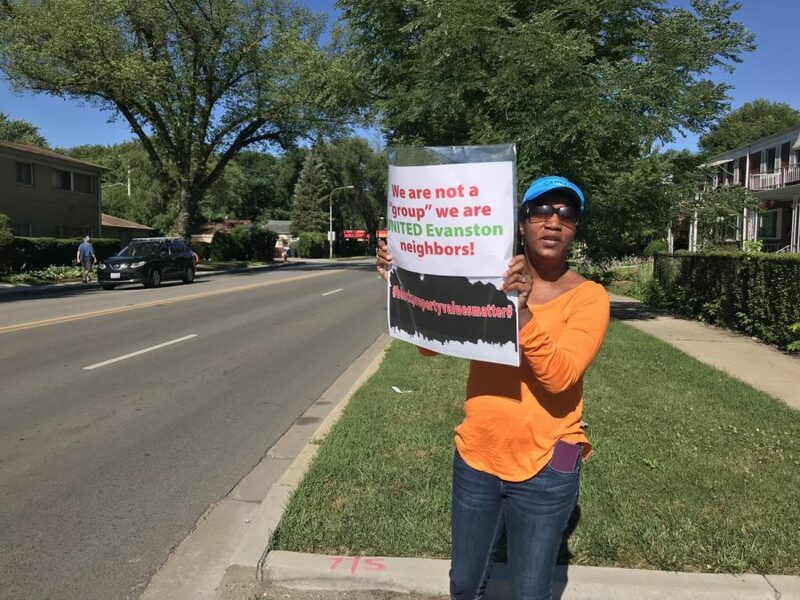 Evanston residents gathered early Wednesday morning to protest a Dempster Street housing development funded by Housing Opportunities for Women. The Chicago-based organization that helps individuals find affordable housing previously sought funding from City Council for the housing development in September and were denied. HOW moved forward with the project without funding from the city, and applied for federal funding through the Illinois Housing Development Authority. Darlene Cannon, who organized the protest, said she wanted to speak out against the city and their missteps in allowing the Dempster Street housing development, including labeling the surrounding area as not a “predominantly minority” community. Cannon added that the three-story building itself will stick out because there’s nothing of the same “height and density” in the residential area. She said this type of building is common in downtown Evanston, but not near the proposed building site. She said that she was also upset at the lack of communication with the residents in the area and hopes that will change for future projects. She said other parts of Evanston receive communication and “meetings with residents,” but their area did not. The three-story building, which is set to be built at 2215 Dempster St. in the 2nd Ward, will have 16 units of affordable housing. The proposed one-bedroom and two-bedroom units would be filled from Regional Housing Initiative and Statewide Referral Network waitlists, which may not prioritize Evanston residents. HOW said at a September City Council meeting that it would only specifically seek Evanston residents after both waitlists were considered. The housing project is estimated to be completed by early 2019. Evanston resident Angela Warlick-Thomas, who attended the protest, said she’s lived near the site of the proposed housing project for over 18 years and she’s worried about the property value of her home.